The 'Monthly count' chart will be drawn here. *Sam Warburton is a research fellow at the New Zealand Initiative, which provides a fortnightly column for interest.co.nz. More vehicles probably means more driving. But as I have written in both my pieces, the road toll is up way above and beyond the increase in driving. We're driving 15% more than in 2013 but dying 60% more. Just a note, Sam. Thought you had a great Lions tour. Well done. Is there a disproportionate % of rentals involved in road fatalities (per km travelled)? It's beyond my skills to analyse all the causes. But it's not beyond others' skills. Government agencies should track down some of those statisticians/econometricians and get them on the job. If you spread it throughout the country it does not look too bad. Take somewhere like Central Otago or Southland or the West Coast and it is nothing short of alarming. One of the bigger problems there is roads that are seemingly empty, giving a driver more used to driving on the right, no "guide" from being among other traffic. I doubt the amount of road has increased 15%. So therefore you have more cars per km of road and all the problems that go with it like longer queues at intersections, trains of frustrated drivers held up behind caravans, much tighter gaps when merging into arterial roads. It would be interesting to see the trend broken down by the different crash scenarios. How many are at intersections vs open road? How many involve more than one vehicle etc. Agreed, trying to remove STUPID from the drivers seat through rules and regulation will never be entirely successful. Some of the accidents are due to wilful stupidity, while others are the result of momentary lapses in attention. Both are human factors and neither can be effectively ruled against. Unfortunately, not all fatal accidents caused by willful stupidity result in the demise of the willfully stupid. These and other forms of what to most folks is Magic, engender a feeling that 'I'm safe, the car will look after me regardless". So actions like expecting traction control to work when hydroplaning or on black ice, taking corners really fast, not reading corners which then tighten up (a skill burnt in to any surviving motorcyclist...), and getting distracted by touch-screens, children, partners, pax, entertainment systems (it's a very long list) then go on to cause the Unexpected - the proverbial 'oh, crap' moment. Maybe it's because crashes are random and using years as measures for averages are not applicable? Maybe it's because of the large amount of rental vehicles and tourists using cars, not understanding or knowing the roads which contribute? Maybe it's because our roads are arse? There is an element of randomness to crashes, but the trend is definitely up. The method I used is standard for such issues. We can be more than 99% confident that the road toll is up. As everybody knows It is pointless using deaths as the stat for road the road toll. Just saying we have got better or worse on that score year by year. That is what is thrown at the public to digest. An accident that kills one and cripples say four there is one stat. Needs to be a more graphic scale representing all the horrors surely. Serious injuries have the same pattern. Sure it might be the same pattern but your article quite rightly seeks to stimulate public interest and debate. So a few years ago or so when we had a drop in road deaths per annum, there was some trumpeting about the improvement in our driving. That in itself illustrates a large degree of how public perception can be misled.Obviously it is not as simple as this but if those sort of stark & limited statistics are bandied about without including for instance that serious tourist bus accident in Canterbury a couple of years ago or so, where nobody died but about 15 or so were left with crippling injuries, then it is providing neither the correct or serious message. Appreciate this is not a major point but if only, to take it is an as an angle, then it fails to deliver the full picture, and it is part of the problem of insufficient education of the public. Anything with a degree of randomness is going to be 'lumpy', with bare spots and clusters. Maybe the low toll of recent years was the anomaly. My statistics is rusty, but presumably there are ways to determine if it's lumpy beyond normal expectations. Element of aging population with health and eyesight issues who are understandably reluctant to give up their licenses? Draw a line-of-best-fit between following the peaks and a line-of-best-fit following the troughs. 2013 was not unusual for troughs. Also a professor of statistics has been in contact with their own testing. Trend is up and it's up since 2013. Good evidence that 2011 is not the turning point. Here is that professor. 80% chance the lowest point was around 2013/2014. It's politically incorrect, but they need to look at the drivers are who cause fatalities. While the public safety campaigns target everybody, including most of us who are already doing their best, it would be more effective to intensively target criminals, including if needed handcuffing them to their letter boxes. Acknowledging of course a fatal crash can be caused by any member of society. 1. the large number of fleeing drivers who regularly kill themselves, and unfortunately others. The latest menace was called Morrocco. 2. Who was that researcher who pointed out that 50% of fatal crashes involved somebody with a criminal conviction - but those people are only a very small % of the whole society. That research is ignored. How many were not wearing seat belts or in approved child restraints? How many vehicles involved in collisions did not have warrants or registration? How many vehicles were more than ten years old and therefore lacking modern safety enhancements? How many drivers involved in fatalities were unlicensed or not NZ tested drivers? How many drivers involved in fatal accidents relied on driver training from other countries to get a NZ licence to drive on NZ roads? How many fatalities were medical incidents? Is an elderly man dying in his car in a hospital car park usefully counted as a road fatality? How many fatalities were the result of police pursuits? How fatalities many were deliberate i.e. suicides? These are not issues that can be dealt with by better roads, more speed cameras, or more booze buses in the suburbs. 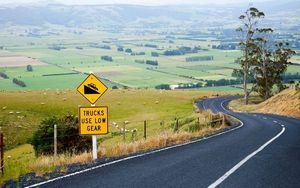 Many arise from NZ being a poor country with an aged vehicle fleet, many drivers who are not trained to drive in NZ conditions, an aging population and poor support for mental health. Delving into these matters might lead to better targeted prevention programmes than the present breathalyse people in 50km areas where there has never been a fatality and speed traps all over the place. It may be the case that a lot of the road toll has causes that are beyond the realm of road policing or road building policy. Vehicle age, for the most part is a crock, as is older driver age. One of the things that is reasonably recent is the proliferation of people carrier type vehicles, which often results in far more people in any one crash than there may have been in the past. Another is the proliferation of SUVs and other vehicles with much higher centre of gravity than regular cars. We lowered the drink drive limit in 2015, but since then have seen a reduction in convictions for drink driving and increase in the road toll. This seems odd as wouldn't a reduction of the limit result in more convictions, not less. Perhaps the police have reduced enforcement efforts around drink driving. Is the same thing happening in Australia? Over the last decade, new cars have gotten electronic stability control systems to prevent skids, rearview cameras to prevent fender benders and more airbags to protect occupants in collisions. Hundreds of millions of dollars have been spent on campaigns to remind the public of the dangers of drunken driving, failing to buckle up and texting while on the go. Despite all that, more Americans are dying on roads and highways than in years, and the sudden and sharp increase has alarmed safety advocates. The latest batch of bad news arrived Wednesday in traffic fatality estimates released by the National Safety Council, a nonprofit organization that works closely with federal auto-safety regulators. According to its estimates, 40,200 people died in accidents involving motor vehicles in 2016, a 6 percent rise from the year before. If the estimates are confirmed, it will be the first time since 2007 that more than 40,000 people have died in motor vehicle accidents in a single year. The 2016 total comes after a 7 percent rise in 2015 and means the two-year increase — 14 percent — is the largest in more than a half a century. The US is also facing an epidemic of drug (mainly opioid) overdose deaths - 64,000 in 2016. I just wonder how much of an overlap there is with the road toll there and perhaps here (with meth); with increasing numbers of drivers on cannabis, opioids or meth driving around in older vehicles. Has anyone done the research into the time the driver at fault has been in New Zealand? Or the origin of the license of the driver? Police at the coal face know the answer to that one, but probably can't say it. What would be really useful is the average speed, which could be compared across regions, and to the death rate per km travelled. Lowering the road toll has been a campaign based on flawed assumptions for a long time. The Police released a 10 year strategic plan back in 2000 to reduce the road to to under 300. Didn't happen. Road maintenance is down , all the money is been pumped into the RONS. Road surfaces are worst when you get off the main highways. But even SH1 between Atamuri and Taupo has been slippery as hell for the last year or so . There were a spate of bad accidents there around last Christmas, especially as it was wet. And the weather has been very wet this year, with few (if any) weeks without rain. I think this is where a lot of the accidents are happening , people coming off the improved motorways and expressways they ae used to , hitting the "normal " roads , and coming to grief . Yeah I think you're right there. Living in Auckland I very rarely end up on a standard 100km/hr undivided road these days, when I do it feels really unsafe like an accident is going to happen at any time. I think our roads and speed limits have always been terribly unsafe, but with less immigrants and less decent roads, we were all just used to it. Yup , and the droughts before that, means the earth inder the roads is shrinking and expanding more than normal lately. Perhaps the cell phone rule was counter-productive - it's much better to text on your lap than talk on your phone where you may be seen. The emission rules have definitely left a huge bulge in the fleet of aging pre 2000 cars. There also was a bubble of pre-frontal impact cars imported to beat the earlier rules that the new vehicle industry had lobbied the Govt for. Then later Annette King caved into them again with the later emission rules. This made the bubble of early cars stay in the fleet a lot longer. These are huge numbers - over $1M cars which would have been mostly retired had the Govt not insisted in mucking around with the rules and the new vehicle lobby actually cared about lives instead of protection of profits. Don't all/most phones have GPS tracking always on? If so, wouldn't it be an easy function to auto program into the devices to go to silence mode/voicemail when the phone itself is moving over a certain speed? I know I'm 'programmed' to turn off my phone when I go into a classroom or a meeting - but never do it when I get into the car. And then the other question I have often wondered is about GPS directions/map use. I find them very disconcerting/distracting. They mean we don't have to plan trips by consulting a map before we head off. Too much to look at and listen to aside from the road, the roads signs and the traffic. Great feature - glad someone has already thought about it. That would be a real PITA for passengers, people with handsfree via vehicle bluetooth etc. Trying to use technology restrictions to overcome a societal problem usually fails. If you were going try that approach i'd rather see breath alcohol interlocks mandatory in cars. Would prevent those that are marginally over the limit from driving and getting caught, and could avoid all those RBT checkpoints that must cost a fortune. Some roading "improvements" are not improvements in my view. 1/ Rumble strips on the inside of the corner on left hand bends: Forces cars to be closer than necessary to oncoming traffic. I've seen many close calls. Myself: I often have my left hand wheels to the left of the rumble strip on left hand bends to keep away from oncoming trucks and their spray. 2/ Slow traffic lanes: Sometimes installed where overtaking lanes used to be like on the desert road: a recipe for frustration when the SUV in front of you feels that they are not slow. Do you overtake them on the left inside hand lane????? 3/ Unnecessary no-overtaking yellow lines on long straights. 4/ 104k speed limit: having to check the speedo all the time. It all adds to the frustration of the driver and ups the pressure when there is a genuine overtaking opportunity. Yes to rumble strips being counterproductive. Why encourage drivers to the middle of the road? The margin for error on open roads at speed are small enough anyway without the increasing number of distractions that car manufacturers are putting into consoles. Also as I mentioned in a recent thread, I hardly see traffic police these days. Are they outsourcing part of their policing to *555 ? Used to see them frequently in Taranaki through to King Country. Now would be lucky to see a traffic cop 1 in 3 trips. Continually being bombarded by super heroes....just because they can drive a car hard and fast a 1000 times around race track, followed a series of burnouts and otherwise criminal behavior, probably doesn't help. Maybe we should stop treating this dangerous weapon as a toy for men with small testicles? Having ever larger trucks on our roads is typical of National party ideology. Transport firms having a little more profit, especially if such are not passed on to consumers does nothing for the quality of life of all. It’s taken a lot of effort to ensure left leaning voters are inconvenienced in every facet of their twisted existence. Thanks for the recognition. There are many more useful comments than this in the discussion. Suggest you take off your blinkers. I’ll have to google how to add the sarcasm emoji. Yes, my comment was intended that way. The OP’s post reminded me of a religious zealot who sees evil everywhere. Could it be that we're all just being encouraged daily to allow distractions to penetrate our consciousness, that we have to look at our phone whenever it buzzes, that we have to look at all the advertising on the road side, that we pass a driving test by being on our best behavior for 30 minutes then we're good to go, that we have more people in our country than ever before with less emphasis on understanding the laws of physics and more emphasis on a flashy 5 star safety rating with your $40,000 SUV. Does it matter what the cause is when we know the solution? Remove the human from the drivers seat. The quickest way to cut road deaths is the rapid adoption of autonomous vehicles. As a country we have to decide if when we want to make the switch before other countries. And if we do, how do we ensure we get manufacturing priority. NZ could easily lead the world on autonomous vehicle adoption. We have high fuel costs, highish labor costs, a full range of weather and road conditions, a small but representative population, majority of electricity being renewable. 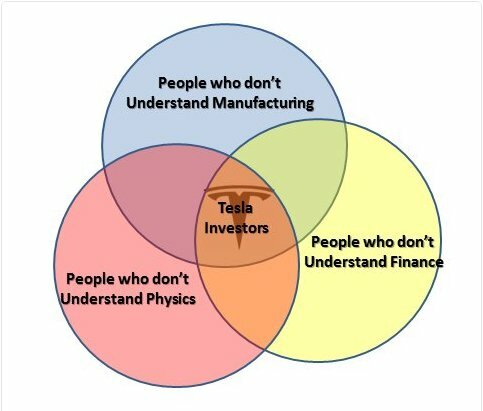 We are the perfect testing ground, but we need government initiatives to court manufacturers, and government investment to make it happen (if we want transport as a service to be publicly owned). I suspect that by the time computers are truly able to handle all of the possible variables that will arise on our roads they will be able to run our world far better than humans. I fully expect that we will see some truly horrendous accidents caused by AI controlled cars to the degree that their inception will be highly staggered. How would an autonomous car go on a narrow dirt road at night with hail falling, potholed road, dark coloured cattle running free, a gale blowing the leaves across its sensors path. It might say: data overload! This is dangerous, I refuse to drive. I'm stopping. You walk. Yes really. It'll also be smart enough to drive to the conditions, something our human counterparts forget to do. They've already worked around rain and snow. No unfortunately they have not. visibility in areas with variable roading conditions is still as reliable as a dog left alone with the night's meat for dinner left on the floor. Try reading the research and study conditions and then apply that to most NZ . You can trust it as far as you are there watching it at all times ready to take over at the slightest moment and knowing full well there are several points where conditions and the AI response will lead you into a ditch or, using the analogy, the dog is both faster and more agile than your attempt to stop the theft of meat. Imagine on this hailing night time trip on the dirt road: just over the brow of a hill is a washout with a raging river down below. How good are these radars? Would they notice the lack of road? Or would it see a 30cm thick trunk of a tree lying on the road? Or when driving along most dirt roads there are three tyre grooves with piles of dirt inbetween, would the car be able to keep in these and not go onto the marbles? By the way, we all know how useless ABS brakes are at stopping a car on the marbles. Another one: I have seen a tyre in the middle of a lane on the motorway. Probably a spare from a trailer. I missed it because I wasn't tailgating. Autonomous vehicle: truck to the left, truck to the right, truck tailgating behind: wheel in the middle of the lane: Would this autonomous car slam on the brakes? Or go around it by going very close to the truck on the left like a good driver would? Actually many self driving vehicles, (note not actually self driving in the giant * they have to list assisted driving), have to drop back to manual control. All those human response mechanisms and inwardly listed rules like give way to cars driving uphill, drive in the center when park cars block the side but pause at an appropriate space to allow oncoming traffic, any condition where the center line or road edge is not well defined, heck you can even trick the AI with some easily repositioned or tagged road signs. In fact all the AI development is not capable outside the strict controlled environment even Tesla's "don't ever take your hands off the wheel and try to second guess when the AI will fail" motto is not going so well. Take the fact that the general populace will give in to believing in the magic of technology and you have a lot of accidents in proportion. Even with fly by wire for pilots and safety of backup mechanisms there are still accidents caused by AI and pilot error recovering from AI failure. Do we trust most humans with computer & system security? No well guess what it will be like when most give up any responsibility and sense of attention to a supposed mystic AI with common developer errors and engineer misconceptions about the breath of case environments. It is really a constant engineering development to reach a completely safe AI system and in planes we have not even made it close so far. But sure around a sleepy American suburbia with easily defined road markings and no major weather issues or introduced risks it may work out ok, (except all those cases of the trolley problems where the death of the driver & or pedestrians is an acceptable result given the choice). It is as safe as a minefield where the map is drawn with a crayon by a monkey, (the developers are represented by the monkey). Heck they still have not figured out kangaroos or black ice conditions. Want to guess what happens when the AI response does not match the environment it is in. Shame you cannot give it a prepare for morons driving in the wrong lane, the road surface giving way or falling rocks mode yet. Sounds a bit like our election. Pity there are no-autonomous cars, and the cost of cars with semi-autonomous features are far from affordable to average new zealanders. Also, some of us enjoy driving, and won't be bullied into surrendering our freedom to a computer. If you don't want to drive, thats fine, you can use the bus/train or walk or pay 6 figures to buy a Tesla that might eventually maybe be able to drive you most places. It will come, in time. And autonomous vehicles will cut down on accidents and deaths as well as congestion (a large amount of which is caused by awful human driving). "Bottom line: “driverless cars” are not here, and not coming. Like artificial intelligence, virtual reality, genetic engineering and other “next-big-thing” oxymorons, what we’re really talking about here is a high-tech con, designed to separate real morons from their money"
1. Is there such a thing as driverless cars yet? "No there isn't LOOOL." No ship, sherlock. No one has claimed they're production ready yet. 2. How are potentially driverless cars doing in their testing? "Uber's 43 cars are doing horribly"
Google Waymo: 124 disengagements in 636,000 miles over 2016: http://www.bbc.com/news/technology-38839071. Critically, down from 341 in 2015! 3. How much will a driverless car cost? "No one knows, maybe the price of a superyacht"
Author has not even considered transport as a service, in his thinking. Let alone the commodotisation of technology following its release. This is the sort of silly argument people would have been making against computers in the past - or indeed against cars themselves. 4. Would driverless cars need new infrastructure? "Yes, digital infrastructure with staggering cost!" Author is not yet familiar with the sheer scale of cloud computing today, nor the level of connection between devices that are already in common use today. 5. What about insurance? "It's chilling"
Having cars in the future that make fewer mistakes than humans will certainly disrupt the vehicle insurance industry. Simply deciding there's no possible way to navigate the intermediary stages is about as sensible as people deciding there was no way cars and horse-drawn carriages could share roads. Also, artificial intelligence is already here and available and part of our everyday world. The author seems to be confusing this with an Artificial General Intelligence, which I'd estimate is a number of decades away. I agree that they will come in time, depending on what level of self driving you want to call the line at, but i'm thinking I'll be checking into an aged care facility before driverless cars make 50% of the NZ passenger car fleet. I figure what i'd call full self driving is at least another 10 years away, and will only be in high end cars initially anyway. So about 20 years before they start trickling down from japan in any quantity as used imports, and then another decade before they make 50% of the fleet. And it'll need a govt forward looking enough to tax and raise funds to build decent Vehicle to infrastructure network comms to enable it to happen on scale. I just want Tesla to build decent EVs without the autonomous driving rubbish, and make a drivers car. Give Gordon Murray access to Teslas battery and drivetrain tech and let him build a car, now thats something I'd buy. Yeah, will be interesting to watch the timeline and agree we're unlikely to see our fleet change much in the next ten years. The training process (of learning machines) will require a lot more data to be passed through it, though that's happening all the time now. I'd suggest trucking may be more disrupted initially than cars - think interstate freight in the USA being less limited by the capabilities of human drivers. Agreed, much easier to tack an extra $40k on the price of a new truck thats expected to be on the road 20 hours a day 6 days a week for 10 years and remove the driver costing the company $80k+ a year, as well as reduce fuel consumption and mechanical damage costs. Not to mention the extra height above the road gives cameras/LIDAR etc a longer view of things. I would volunteer to help train the AI for trucks but I'm not sure they want their AIs to refer to drivers that veer in front randomly, as mucking fuppets (more or less). Rick- i'll put it simply for you. What part of "will cost more" and "will eliminate work(ers)" does an economy with weak demand (affordability problems) like? You might want to ponder why the concord stopped flying. Wasn't this a high tech dream? Surely it wasn't because we didnt want to travel too fast? I already pointed out the flaw in the cost argument the author made. The author is arguing that new infrastructure will be required, when in fact that infrastructure is already in use today and is increasing rapidly all the time. He doesn't seem to know what's already out there. "Eliminate workers" should immediately lead to the breaking of assumptions of ownership, rather than transport as a service, rather than the author's thinking of "self driving cars won't happen because no one will have jobs so no one will afford them because they're too expensive too because they require a whole new infrastructure...maybe we should call the new infrastructure "cumulonimbus" computing..."
What vehicle to highway infrastructure is already in use? No, I think Tesla investors are not stupid at all, for the next few years Tesla will do just fine, but in 5years or so when the big automotive manufacturers get serious about EVs Tesla will find themselves being caught up pretty quickly. Once toyota and the other japanese manufacturers see a large market for decent EVs and Battery Tech has improved a couple more cycles its going to be the beginning of the end of ICE cars for the majority or personal transport. Just remember to translate any Tesla timeline from Elon-Time to Real-world time (Elon time + 50%) and you'll mostly be fine. Yeah, i wouldn't pay much attention to seeking alpha with regards to Tesla at the best of times. And as one of the model 3 reservation cancellers i'm well aware how many people are disappointed with the delays and things, but either way, Telsa will sell every model 3 it can make for the next 18 months just trying to clear the backlog, unless they really get that production line humming pronto. And they'll do so without dropping their prices on the model 3. According to seekingalpha punters Tesla has been about to go bust for the last 3 years.. so far no dice. It is just all rhetoric and bluster by those with an adamant position to uphold and political points to score. If police/politicians/roading agencies want to laud their heroic efforts in road toll reduction (as they do) then they should also bear the brickbats for any increase. Otherwise, admit that any efforts are largely pointless and STFU. The large cohort of geniuses who can identify the 1 single cause, be it poor roads, hoons, trucks, drunks, speed, impatience, lack of speed, innattention, fatigue, old drivers, young drivers, foreign drivers, old cars, new cars, gadgets... (what did I miss), you too STFU, it's also pointless, your'e not helping. Items to note: Cars live longer in NZ because their service life is measured in Km, not years. 1 crash can involve any number of vehicles and potentially kill or injure as many occupants as are in the vehicles. In a single random event you can get a high or low number of victims just like lotto, but no more "crashes" have occurred. There is a very short list of boxes that the police will tick on their report sheet and most of that would be best guess than true fact and actual cause. It is unlikely to be a popular admission that some level of harm must be accepted, but with all things we humans do there is an element of risk. While we should do our best to mitigate what we can, sensationalizing every instance is doing little to improve much. Thanks Sam for the article. Loss of life in such a way is very sad and the events over the last few days really highlight this and it is completely wrong for us as a society to accept this "toll". Thoughts and sympathy to all families and friends affected by this. Assuming everyone is a good driver, we're all human and sometimes we're not so good or maybe you're perfect and someone coming the other way is having a bad day, they are tired, distracted, it doesn't matter but it could happen to any of us. Of course driver training, enforcement, better cars all help but people still make mistakes. Research has shown that is everyone obeyed the road rules we would still have a substantial road toll. Around 4O% of fatal or serious crashes on rural roads involve vehicles running off the road. In a crash into a tree, power pole, cliffside at 100km/h 8 out of 10 would result in either fatal or serious injury at 80km/h this almost half's. Until we have autonomous vehicles, there are really only two choices we either upgrade all rural roads to motorway standards (allows risk to reduce significantly whilst maintaining speed) or reduce speed with respect to the standard of the road ( not popular but it works ). Really the only answer we can accept is zero for our road toll. Also if I remember correctly about 94% of all crashes come down to human factors, about 4% the state of the vehicle and about 2% other factors like the road. That said there is a lot NZ can do to road design. NZ doesnt even have a separate activity class for funding for safety works (we do for safety education). Its simply absurd. If we bothered to put congestion tolling in place in Auckland (at a minimum) we could delay & spread out over time the hugely expensive urban highway projects & spend it on safety instead. "Also if I remember correctly about 94% of all crashes come down to human factors, about 4% the state of the vehicle and about 2% other factors like the road." 94% of accidents might start with someone making a mistake, but roads could be safer once those mistakes happen. •	45% are attributed to the vehicle: improvements in vehicle crash worthiness and fewer motorcycles (which are in effect less safe vehicles) per unit of travel. •	36% are attributed to the driver; a combination of the effects of advertising, breath testing, and average speed.